My Sunday School class is going through Louie Giglio’s study Goliath Must Fall. We are on Session 3 which deals with the Giant of Rejection. Now, if you know me, you’d probably say that I’ve never dealt too much with the problem of rejection. All through my childhood, adolescence, and high school years, anyone looking in from the outside would see acceptance and high self-esteem. My family seemed, maybe not perfect, but well – meaning not sick. At school I was a “smart kid.” I was athletic. I had friends. I didn’t get into trouble, act out, or use alcohol or drugs. But underneath all of that highly-polished veneer, I craved acceptance. I craved connection. 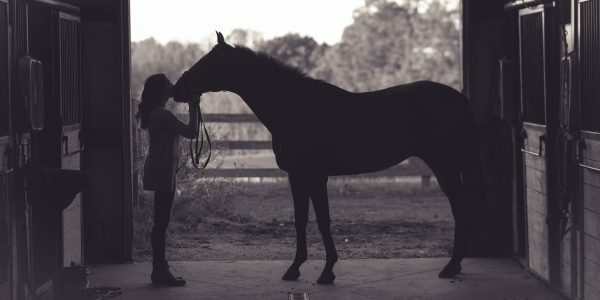 The only place I ever felt truly accepted was with my animals, which is probably why I wanted to pursue a career with horses. But, later in life, (college and beyond )this need for acceptance brought me to seek relationships that were not always the best in order to feel loved. I ran away from the One who truly loved me for who I was, and ran to other people and substances to make myself feel accepted and acceptable. But, though I ran away from God, He did not run from me. He didn’t even let me go, shaking His head. Instead, He followed me. He pursued me. If this one truth doesn’t prove my acceptability in His eyes, I don’t know what does! As I ran, He watched over me. As I scrambled from one thing to another, searching, yearning for love, He protected me. With enduring patience, He waited until I fell so deep and so far that I had to look up. And when I looked up, He was there. And He accepted me, still. He opened His arms and welcomed me, failures and all. Since then, He’s provided me with friends who accept me for the person I am. With a church where He reveals Himself to me in the teaching and the Word. With a family who loves me unconditionally –weird quirks, odd behaviors, strange priorities and all. And lately, with a new (or should I say) revised calling and purpose – a new view of where my talents might align with His purpose of seeking and saving the lost. That connection I sought has been forged between myself and the God of the Universe through the sacrifice of Jesus Christ. Before, I did things SO THAT I could be accepted. Now, I do what I do BECAUSE I am. What about you? Are you a puppet, strung along by the desires and expectations of others, or are you living the life and purpose God created you to live – one in which you act BECAUSE you are accepted? Jesus paid the price for our sins on the cross to reconcile us to God, but you must allow yourself to accept the gift. I’d love to hear your story. If you would like me to pray for you, comment below or email me @ rebeccareed333@gmail.com I pray this message brings you closer to the heart of God. May it bring glory to Him.